Airbnb for your Noosa property is a great alternative to a traditional holiday rental. If you are aiming to maximise returns on your investment property while also having the ability to enjoy it yourself, listing your home in Noosa on Airbnb will enable you to do that. However, listing a home on Airbnb takes time and effort. Setting up or optimising a listing to attract the right guests and stand out from competitors takes knowledge and experience. Setting a price and monitoring competitors pricing, seasons and events is an ongoing task. Not to mention…bookings need to be managed, enquiries need to be answered, guests need to be checked in, linen needs to be fresh, and the house needs to be cleaned ready for the next guests or for your arrival. Airbnb listings are powered by reviews and it takes time and effort to earn great reviews. Having Team BnB on board as your Airbnb property manager means you have a team of experts on your side to ensure your property listing is a success. We service Noosa and other parts of the Sunshine Coast, Queensland. Get in touch with us today to see how we can help you. Create an Airbnb listing complete with professional photos. Regularly review pricing based on seasons and comparable properties. Respond to guest inquiries, take bookings, write/follow up reviews. Provide linen, towels and bath mats. Guests can contact us anytime, 24/7. Provide basic kitchen and bathroom amenities (free of charge). Produce a personal house manual for your guests. Property check prior to guest arrival. Team BnB offers one simple pricing structure to manage your Noosa Airbnb with no lock-in contract and no hidden fees. Teambnb have managed my holiday rental a number of times during the past year and have provided fantastic services and excellent communication both with myself and guests. 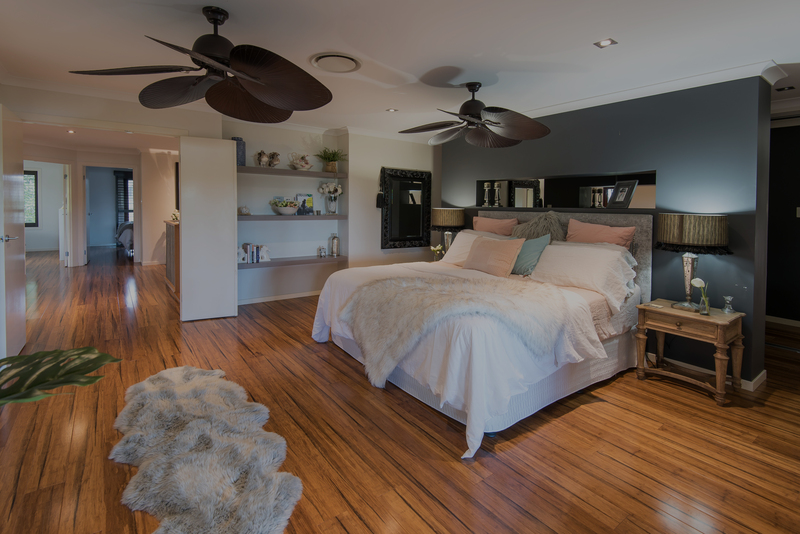 They have an excellent knowledge and understanding of the Airbnb platform, in addition to a really sound understanding of the holiday rental market in the Noosa region. This was really valuable as their feedback ensured that I set the house up for guests properly and priced it appropriately. I will continue to use Teambnb as needed and would highly recommend their professional services. Airbnb should give hosts like Mel and Nadja an award. Locals, with insider tips on what’s on and what to check out made the daunting task of organizing a holiday with kids and finding a suitable place to stay to meet the whole family’s needs pleasurable and manageable. Let’s face it, traveling with kids should be an olympic sport! The house itself was great - family sized kitchen for home cooked meals, single level - so no need to worry about barricading staircases or locking balcony doors, neat well kept garden, with fully enclosed yard to contain exploring toddlers, all within a 7.5min (yes we timed it) and 6 road round-a-bouts to Hastings Street (bucket and spade provided). Thanks again Mel and Nadja for a memorable family getaway- looking forward to checking out another of your boutique properties. Team BnB manage our holiday home in Peregian Beach and we can not say enough good things about them and the service they provide. From managing the bookings, liaising with guests, and organising all the cleaning and linen changes, we have not had to worry about our property at all, which is such a relief living so far away! We highly recommend using Team BnB for your property management, you will not be disappointed. I have experienced the service of Team BnB and have no hesitation to recommend Nadja and Mel ! Their service is professional and friendly ! They are happy to go the extra mile to ensure satisfaction all around ! They are very dedicated to their business and they deliver a high standard of service! It is well worth the very reasonable commission in exchange for a hassle free experience !! I can't thank Mel and Nadja from Team BnB enough. They took over the management of our holiday home in Noosa and our bookings increased straight away. They are so responsive and easy to get along with, I'm so glad I found them. I wish there were more stars available so I could give this place 10/5! It was such a beautiful house and a great location. The hosts were amazing and super easy to communicate with. I would highly recommend checking this place out! I loved the fact that this was a 'family home' and that the teenagers traveling with me were made to feel very welcome. We had comfort in a lovely neighbourhood about a kilometre from the patrolled beach, local shops and good sized supermarket. A comfortable and enjoyable short break away from home that combined work with leisure. Thank you! We had a wonderful stay in this huge house. It is well located and had everything we needed. I wanted to write a reference for you to thank you for the work you are doing for us. We researched a few people when we were looking for a Co Host to help us with our property at Peregian Springs, and the minute I saw you I knew not to look any further. It was important for me to have someone approachable, friendly and also with a professional look for our home and you not only ticked all the boxes you added some class as well! I had done some hosting on my own but I have learned so much from you girls, your responses to people are always friendly, and professional and you are immediately onto any queries from the guests that arises. Also advice with the pricing is invaluable as I do not have the time to continually research and watch other properties to price match. The organisation of the cleaners is a huge plus for me as I live a distance away, and feel secure that your standard of cleaning is the same as mine, and we are all on the same page that the guests should walk into a home and feel excited to be there! I would like to recommend you both to any other hosts looking for help with their homes, I am beyond pleased with your services. Nadja and Mel are TeamBnB and they are fantastic rental property Managers. They have looked after our Noosa unit since late December 2017 and we couldn't be happier with the professional and efficient service they provide. Better still they are great girls, happy, enthusiastic and always willing to help. Highly recommended. Our Peregian Beach property has been in Team bnb care for a short time but the level of professionalism and care is second to none. The communication to both guests and property owners is excellent and the stress of remotely owning a holiday rental property has been taken away. We sleep easy knowing our home that we value so much is in great hands. Highly recommend Mel and Nadja. Check out our Air BnB reviews! 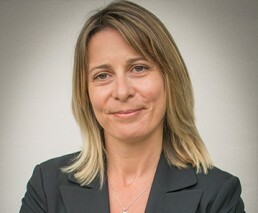 Melanie is a customer service and administration professional with 20+ years experience in all aspects of hotel and resort operations in Germany and Australia. She has managed the Front of House and Guest Relations departments of several iconic Australian Hotels and Resorts, bringing a passion for five star service to the traditional no-frills sharing economy. She met her husband Andrew whilst working at a well known Noosa resort and their hospitality careers took them interstate and overseas to Asia. They have recently returned to Noosa with their two children and are loving life back on the Sunshine Coast. She is an active member of the Noosa community, founding and running a weekly playgroup for kids with over 50 members. ​ When not running Team BnB with Melanie, Nadja can be found at the beach with her family and small dog. 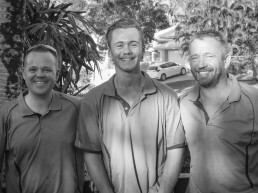 We have several local sub-contractors who work on making Team BnB the best Airbnb management company in Noosa! Prompt, professional and reliable. Dave understands the importance of high quality images for our Airbnb listings. Dave can also provide aerial shots by arrangement. 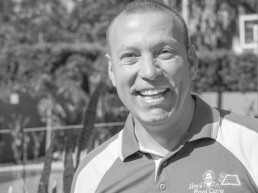 Julian and his team work across our properties to ensure beautiful and well maintained gardens. His team also look after minor maintenance work. 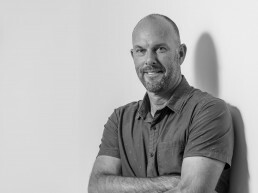 Scott is a certified pool technician and provides regular pool maintenance and is licensed to ensure your pool meets Queensland’s safety standards.